The 36-year-old man was shot around 1:15 p.m. Wednesday, police said. 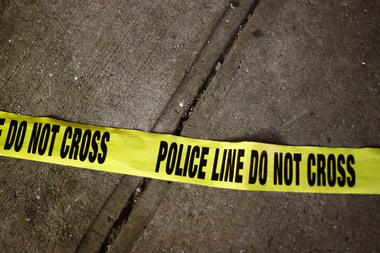 CHICAGO — A 36-year-old man was fatally shot Wednesday afternoon in Chatham, police said. Around 1:15 p.m., the man was having a conversation with another man in the 8000 block of South King Drive when the other man pulled out a gun and shot him in the back of the head, said Officer Jose Estrada, a Chicago Police spokesman. The 36-year-old man was taken to Advocate Christ Medical Center in critical condition, but was later pronounced dead, Estrada said. He was identified as Joseph Gaithers, of the 6300 block of South Calumet Avenue, and was pronounced dead at 5:31 p.m., according to the Cook County Medical Examiner's Office. The shooter fled eastbound on 80th Street and no one is in custody for the shooting, Estrada said.